We're getting a clearer timeline of 5G's gradual rollout. 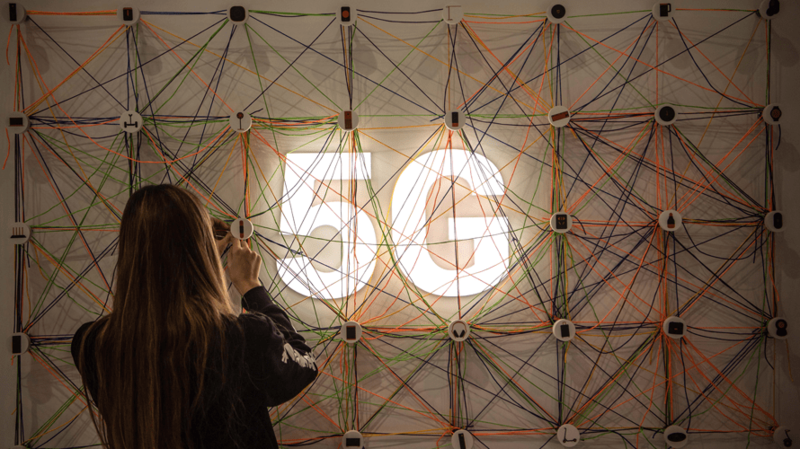 With the very first 5G networks finally set to become a reality in the United States, carriers and hardware makers are offering a clearer timeline for the gradual arrival of the next generation of wireless service at this year’s Mobile World Congress in Barcelona. All four major carriers now plan to deploy parts of their 5G network in the first half of this year, with Sprint committing to an initial rollout in May and T-Mobile denying reports that it would delay its debut until the latter half of the year. Samsung, LG, Huawei and Xiaomi also unveiled various 5G-compatible devices powered by newly released chips from Qualcomm and Huawei’s in-house divisions. The collective announcements mark an acceleration in the arms race between big telecom and tech companies—as well as between global state powers—to be first to realize 5G service, which is expected to eventually boost speeds by between 10 and 100 times what’s currently available and foster a host of new Internet of Things markets. The telecom industry’s biggest annual exhibition also comes as diplomatic tensions between the United States and China have flared over the national security implications of the technology. While the Big Four U.S. carriers have already pulled off various 5G “firsts” of varying degrees of legitimacy, they have yet to roll out a true mobile handset-connected network that meets the 5G standards set down by international bodies. AT&T switched on its first 5G networks in December, but without any 5G phones on the market, it relied on a mobile hotspot device. Meanwhile, the carrier’s rebranding of some 4G LTE networks as “5G Evolution” has caused consternation. Verizon claimed to be first to 5G last fall with the rollout of its in-home network, but the service doesn’t actually meet technical standards. Sprint could be the first to finally reach smartphone-connected large-scale 5G with its pledge this week to deploy in four cities—Atlanta, Chicago, Dallas and Kansas City—this May and an additional five markets—Houston, Los Angeles, New York, Phoenix and Washington, D.C.—to be added shortly thereafter. Meanwhile, the carrier also struck an expanded deal with Google to offer 5G through the search giant’s cellular service, Google Fi. At the same time, T-Mobile CTO Neville Ray gave an interview to CNET on Monday in which he appeared to imply that the carrier would wait until more advanced phones come in the latter half of the year to deploy its first 5G network. But Ray later denied that report on Twitter and said Sprint would hold steady on its plans for a deployment sometime in the first half of the year. On the gadget side, Samsung made waves with its first smartphone with a foldable screen, the Galaxy Fold, which will also come in a 5G-enabled version, set for a release date of April 26. Not to be outdone, Huawei unveiled its own 5G-equipped foldable phone, the Mate X, available starting in the “middle of 2019” and powered by Huawei’s own 5G chips. Xiaomi introduced the Mi Mix 3 for release in May; LG announced the V50 ThinQ with an attachable extra screen; and ZTE showed off the Axon 10 Pro 5G for the first half of 2019. Meanwhile, Apple is reportedly waiting until 2020 to roll out a 5G-enabled iPhone as it remains embroiled in an intellectual property dispute with Qualcomm, the telecom equipment giant that is supplying the 5G chips for most of the major announced releases thus far.